For many people, betting and gambling are a form of entertainment. They participate without it being a cause of any problems for themselves or others. However, a small proportion of the population may experience serious problems when gambling. Current figures can be found in the Prevalence section. Compulsive gambling has been recognised as a mental disorder in international classification systems since 1980, as a result of which the affected party may experience serious financial, emotional, physical and relational problems. Restlessness or irritable when attempting to cut down or stop gambling. Has made repeated unsuccessful efforts to control, cut back or stop gambling. Is often preoccupied with gambling (e.g. having persistent thoughts of reliving past gambling experiences, handicapping or planning the next venture, thinking of ways to get money with which to gamble). Often gambles when feeling distressed (e.g. helpless, guilty, anxious, depressed). Lies to others to conceal the extent of involvement with gambling. Has jeopardized or lost a significant relationship, job or educational or career opportunity because of gambling. Plan how much time you would like to spend on betting and gambling. Prevalence rates provide information regarding the number of people who have done something over a certain period. According to the figures for 2015 from the German Federal Centre for Health Education (BZgA), around 37 per cent of Germans reported having taken part in some form of gambling during the last twelve months. During the same reporting period approximately 0.4 per cent of Germans report potentially addictive gambling behaviour. Germany is therefore in a similar position to many other EU countries. If considered only in relation to those who have taken part in some form of gambling, then the proportion of compulsive gamblers increases to around 1 per cent. In the case of people who participate in online sports betting, this risk increases to approximately 2.5 per cent. Gambling problems can affect anyone regardless of gender, age or social background. According to the BZgA, there are also socio-demographic factors that may increase the risk of problems associated with gambling. These include, amongst others, being male, under 25 years of age, having a lower level of formal education and a migration background. For us, responsible gaming means that we support our customers in ensuring safe, responsible gaming behaviour so that informed decisions can be made. Remember that gaming is only for entertainment and does not represent a source of income. Set yourself a limit with regard to the number of bets you place and do not wager more than you’re prepared to spend on entertainment. Never wager money that you need for subsistence and for fulfilling financial obligations. Do not take out loans and do not borrow money from other sources for betting or gambling. Stick to these plans regardless of whether you win or lose. Do not bet or gamble if you are unfocused or under the influence of alcohol or medication. Take frequent breaks. Do not gamble to help distract from disputes, disappointments, frustrations or problems. Do not neglect your social environment, and take any reactions from your partner, family members, friends and work colleagues seriously. Do not play in secret and do not neglect other hobbies. It is important that you are honest with yourself. If it is difficult for you to follow these basic principles or individual points, then we recommend that you contact our customer service team or request professional help. You can find out more at Get help . If you are concerned about your gambling, then you can use our self-assessment tool. This consists of only nine questions and can be helpful in terms of getting you to reflect on your own gambling behaviour. It is important that you reflect on your gambling activities over the last twelve months and that you are completely honest with yourself. Your answers are not saved at the end of the test. Information on this website cannot be used for diagnostic, treatment, or support purposes. Please get in touch with your doctor or an addiction advice centre. If you gamble online, you always have the option of setting daily, weekly, or monthly limits. This enables you to place restrictions on your gambling which we will faithfully follow. Deposit limits enable you to determine how much money you can pay into your customer account per day, week or month. Restricting deposits is a very simple approach to limiting what is spent on gambling. On the other hand, loss limits enable you to determine what you can lose on sports bets over a specific period of time. If you obtain winnings during the time period for which the limit applies, then these are calculated against the losses. This helps you ensure that you cannot lose more than a certain sum of money, even if there is more money in your betting account. All stakes placed per day, week, or month are totalled with a stake limit. As soon as the set limit is reached, then no further bets on sporting events are allowed. Please note that the limit also applies even if you’ve won the majority of your bets. Time limits enable you to better plan the time you spend in a session. When you set a time limit, then you will be reminded of the said limit when this period of time has elapsed, before automatically being logged out. Additional limits are available for different casino games in order to restrict what is spent at the casino. Please bear in mind that these only apply to the relevant casino platforms. If in doubt, please ask our Responsible Gaming Team to find out whether a specific game is covered by the casino limits that you have set. If you sense that you are experiencing problems with gambling or you are worried about losing control over such activities, then you can exclude yourself at any time. Self-exclusion is an agreement between yourself and Tipico, during which Tipico forbids you from further betting and gambling at your request. If you are thinking about self-exclusion, then also consider contacting other providers with whom you have a betting account and request self-exclusion from them as well. Furthermore, we recommend installing filter software to block access to online gambling sites. An exclusion period can be selected in the case of a time-out. It is not possible to make any bets on Tipico websites or deposit money into your account during this period. The account is automatically reopened at the end of this selected period. It is not possible to reverse it before this period has elapsed. If you wish, the casino option can be deactivated at any time so that you are no longer able to access it but can still use the sports betting option. Please contact the customer service team for this option. If you would like to exclude yourself for an indefinite period of time then this means your account is blocked until you revoke it. It is not possible to make any bets on Tipico websites or deposit money into your account during this period. Your self-exclusion can only be revoked after a minimum of twelve months at the earliest. Even then, we must check your application and cannot guarantee that we will allow the account to be reopened. If you are also a customer in a betting shop that is run by one of our franchise partners, then request self-exclusion at the premises and that any remaining money in your account is paid back to you. A house ban, underpinned by sanctions, is also part of self-exclusion. Please bear in mind that such actions are only a first step and are rarely an actual solution for gambling problems. We therefore strongly advise that you obtain counselling from a support facility immediately after implementing self-exclusion. If you are not a customer with us, but are worried about relatives, then you can find notes and suggestions here regarding what to do in such cases. If you would like to prevent children from gaining access to gambling services on the Internet, or you are worried that they have already come into contact with gambling, then useful information can be found at “Minors”. You will also find relevant information, in particular about blocking access to gambling products, under “Filter software”. If you are concerned about relatives, who are Tipico customers and who potentially demonstrate problematic gambling behaviour, then please contact us immediately. On principle we cannot pass on information regarding our customers to third parties without authorisation. However, we take any information provided very seriously and will check it as meticulously as possible. It is therefore very important that you provide information that is as sound as possible, illustrating how the customer is jeopardising himself or others through gambling behaviour. If such suspicions are well-founded then we will speak to the customer and attempt to find an amenable solution. If this is not possible, then we will consider preventing the customer from gambling as a protective measure. Professional help is not just aimed at those with a gambling problem. We also recommend that relatives and friends of those affected obtain counselling from a support facility. 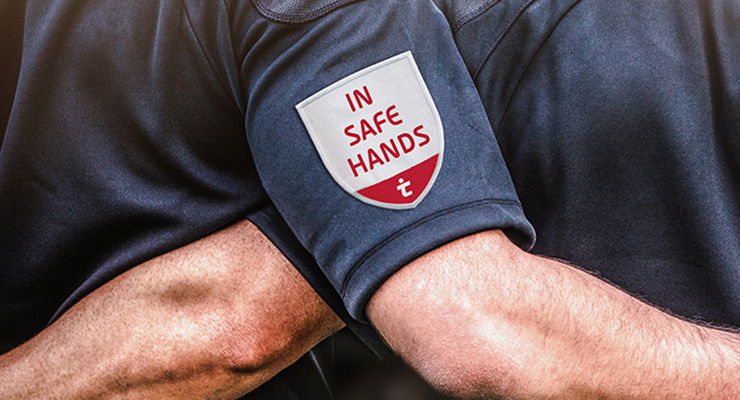 Our Player Protection team is available at any time to answer enquiries about player protection and responsible gaming. You can contact our Player Protection team here. Other local support and counselling services can be found here. The registered address of Tipico Co. Ltd. is “Portomaso Business Tower”, 18th Floor, St. Julians STJ 4011, Malta. Tipico Co. Ltd. is regulated and licensed by the Malta Gaming Authority (MGA). This public regulatory authority is responsible for the supervision of all kinds of gaming activities that are based in Malta. Tipico Co. Ltd. owns licence no. MGA/CL2/180/2004 dated March 1, 2005.